Provide comfort for the family of William Turner with a meaningful gesture of sympathy. 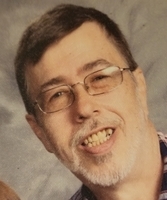 William Glenn Turner, 57, of Novelty, Missouri passed away Tuesday February 26, 2019 surrounded by his family. William was born March 20, 1961 the son of Starlin Turner and Barbara Boice in Broken Arrow Oklahoma. He was preceded in death by his parents; one brother, Roy Jay Turner; one sister, Star Reed. 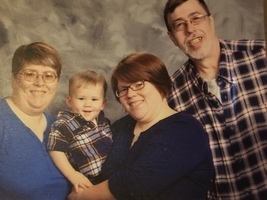 William is survived by his wife of 28 years, Mindy Kay Firering of the home; one daughter, Kourtney Turner and husband Johnathan of Novelty, Missouri; three grandchildren, Zachery, Alisyn and Parker; one brother, Charles Turner of Broken Arrow, Oklahoma; two nieces and one nephew. William loved his grandchildren, woodworking and almost anything outdoors. He especially loved skunks and spending quite time in the timber. William also loved John Wayne movies and decorating his yard for Christmas. Williams wishes were for cremation and no services will be held at this time. Arrangements are under the direction of A Simplified Funeral Solution and Crematory in Green Castle, Missouri. To send flowers in memory of William Glenn Turner, please visit our Heartfelt Sympathies Store.